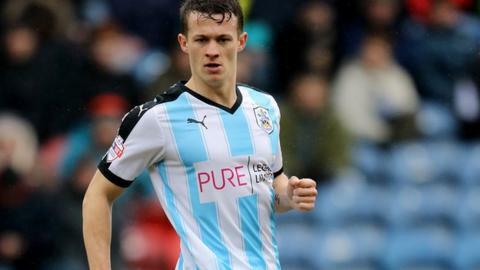 Huddersfield Town midfielder Jonathan Hogg has been ruled out for up to eight weeks with a knee injury. The 27-year-old suffered the injury in Saturday's 1-0 defeat by Ipswich Town. The former Aston Villa and Watford man has made 24 appearances for the Terriers this season. "Jon is an excellent professional who works very hard, so I know he will do everything he can to get back fit and healthy," boss David Wagner told the club website.